Finnish and Swedish IP laws are very similar, so, it is interesting to see what cases reach the Swedish courts. In this overview we present most interesting IP decisions during 2014 with regards to trademarks, patents and copyright. As the Finnish and Swedish IP laws are very similar, it is interesting to see what cases reach the Swedish courts. Last year we reported on some Swedish IP cases from 2013. This year we will again present an overview of the Swedish IP cases from the previous year. We have chosen to describe some of the most interesting higher court judgments rendered during 2014 with regards to trademarks, patents and copyright. Unfortunately, 2014 did not provide any interesting higher court case regarding design rights. However, the case regarding functional design for a chimney hood, which we wrote about in last year’s article, has now been granted leave to appeal to the Supreme Court and is awaiting adjudication. It also looks like there will be a specialized IP court in Sweden as from 1 September 2016, which is a significant delay compared to the original plan of establishing such court already by 1 July 2015. We will revert with an article regarding this new court later this year or early next year. In the Swedish Supreme Court case T 301-12 (rendered on 5 July 2014) (reported on page 580 in NJA 2014), the court provided guidance regarding permissible use of a third party’s trademark. 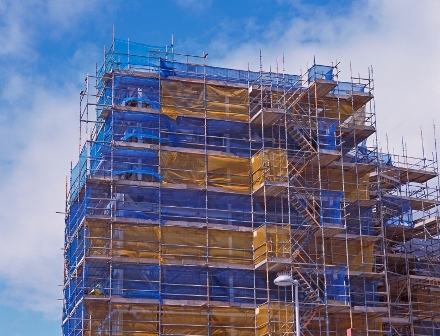 The case concerned the companies Mon.Zon Sverige AB (“Mon.Zon”) and Layher Aktiebolag (“Layher”), two competitors within the construction scaffolding sector. In MonZon’s product catalogues for 2007-2009, there was a photograph depicting a close-up of assembled scaffolding. One of the bars of this scaffolding had a label with the wording “LAYHER”. The photograph at issue only constituted a small part of the more than 60-page long product catalogue. Layher brought an action against MonZon, claiming that the use of the registered trademark LAYHER in the manner described constituted trademark infringement. MonZon objected to the alleged infringement on the basis that the trademark had not been used as a sign for MonZon’s products and that the product catalogue photo only showed that the different products were compatible with each other. The Supreme Court concluded that MonZon was not liable for trademark infringement. 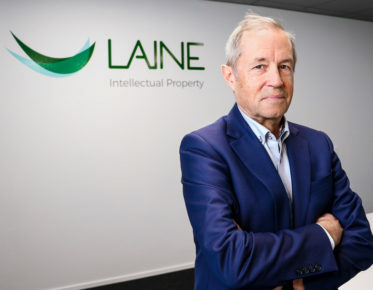 The Supreme Court stated that the term “use in the course of trade”, which is a prerequisite for a finding of trademark infringement, does not require that the mark is used by a third party as a sign for its own products. Instead, it can be sufficient that the mark is used in connection with its own products. However, it continued to state that the right for a proprietor to prevent unauthorized use of its trademark is reserved for cases in which a third party’s use of the sign affects or is likely to affect the functions of the trademark. These functions include not only the essential function of indicating origin, but also other functions of the trademark such as the function of guaranteeing the quality of the goods or services and the function of communications, investments and advertising. Consequently, the Supreme Court held that unauthorized third-party use of an identical mark in the course of trade that is neither damaging nor at risk of being damaging to the relevant functions of the invoked trademark does not constitute trademark infringement. According to the Supreme Court, the use of a photograph showing a decal with the wording “LAYHER” constituted “use in the course of trade” of the trademark LAYHER. That the mark had not been used as a sign on or for MonZon’s products was, in this regard, irrelevant. However, it was clear that the product catalogue originated from MonZon and that it was the company’s own products that were being marketed. As there was no wording or layout that created the impression of a commercial link between the trademark LAYHER and MonZon, the Supreme Court held that the normally informed average buyer would not perceive the photograph in any other way than the parties’ goods being compatible. Nor did the photograph, either in itself or viewed in its context, indicate a financial or other link between Layher and MonZon. Therefore, the Supreme Court held that there was no damage or risk of damage to the function of the trademark to indicate origin. Layher had also claimed that the use damaged or could damage the reputation of the trademark. However, no investigation had been invoked as evidence in support of this claim, or of any other functions being potentially damaged. Furthermore, according to the Supreme Court, there was not sufficient support for granting the claim on the basis that the use constituted infringement under the protection of well-known marks. In its judgment, the Supreme Court sets the threshold for “use in the course of trade” of a trademark at a low level. However at the same time, it interprets applicable EU case law to mean that trademark protection in cases of double identity is focused on the protection of norms and that, consequently, no infringement is committed where no damage to any the functions of a trademark can be shown by the proprietor. As there was no proven damage to any of the trademark’s functions, the Supreme Court concluded that no infringement had been committed. Satisfying this burden of proof in trademark infringement cases will be important for trademark proprietors in future cases. In the Svea Court of Appeal case Ö 8419-14 (27 and 29 October 2014), the court applied the presumption of validity of a patent if no probable cause for invalidity can be shown. 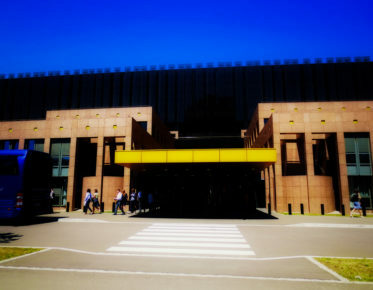 The case concerned two companies, Sandoz A/S (“Sandoz”) and AstraZeneca AB (“AstraZeneca”), both operating in the medicinal products sector. This judgment has not been appealed and is thus final and binding. AstraZeneca had been granted a European patent, which was in force in Sweden, for a medicinal substance that could be used to treat mental illness. In Sweden, Sandoz had marketed a medicinal product which fell under the protection of the patent. In the appealed interim decision, the District Court had prohibited Sandoz (for as long as the European patent was in force in Sweden) from selling, marketing or using the medicinalproduct, and importing the product to Sweden or having the product in its possession in Sweden for such purposes. It was not disputed that the medicinal product fell within the scope of protection granted by the patent. Sandoz argued, however, that the patent was invalid and stated that the technical solution at the priority date was obvious to an expert, i.e. that the invention was not substantially different from what was known before the priority date (and thus lacked inventiveness). Sandoz had also brought a separate action, claiming that the patent should be declared invalid. Sandoz had also cited other facts in support of its appeal. In the assessment by the Court of Appeal, it did not consider it to be obvious to an expert to select the solution that was allocated according to the patent among different solutions that could be chosen. Therefore, it had not been shown with a sufficient degree of certainty, that the patent did not involve an inventive step. In its judgment, the Court of Appeal stated that “in terms of the assessment as to whether or not an interim injunction should be granted, the starting point, according to established practice, is that the fact that a patent has been granted constitutes a strong indication that the patent is valid“. The Court of Appeal further noted that the patent had indeed been declared invalid in a number of other countries and that, inter alia, in the Netherlands and in the UK, this had occurred after adjudication in two instances. However, according to the Court of Appeal, the decisions in these international cases, at the interim adjudication stage, could not be considered enough evidence for the conclusion to be reached that it was likely that the patent was invalid. Since the patent had been granted and was not considered to be invalid, and given all of the other circumstances in the case, the Court of Appeal dismissed the appeal. whether the invoked work meets the requirements for copyright protection or not. This judgment has not been appealed and is thus final and binding. The clothing company G-star Raw C.V. (“G-star”) claimed in the District Court that H & M Hennes & Mauritz AB and H & M Hennes & Mauritz Sweden AB (jointly referred to as “H&M”) should be prohibited from manufacturing, and making available to the public, a specific jeans model. According to G-star, two jeans models by H&M were almost identical to G-star’s jeans model called “Elwood”. This model had the following five design elements: kneepads, horizontal seams above the knee on the back of the jeans, diagonal seams extending from the hip to the crutch on the front of the pants, horizontal parts and seams placed on the far bottom of the legs of the jeans and a circle shaped seam on the rear of the jeans. H&M disputed the claim. The District Court found that it had not been proven that H&M had made the relevant jeans models available to the public and that the court was not in possession of sufficient facts to enable it to assess whether the Elwood jeans were protected by copyright. The claim was therefore dismissed. The Court of Appeal stated that, provided the facts invoked regarding the appearance of the work are not admitted by the defendant (as they were not in this case), the party claiming copyright protection must prove how these facts manifest themselves so that the court is able to make an overall assessment of whether the claimed work meets the requirements for copyright protection. Thereafter, the Court of Appeal stated that the facts invoked by G-star as grounds for its claim were general in nature and indistinctly stated with regard to the description of the work. The same applied to the five design elements that were described to a limited extent, but only in a general manner. For example, it was not stated in detail what the kneepads looked like, what their measurements were or what sort of stitches the seams were made of, nor was there any detailed description of what the circle shaped seam on the rear looked like. G-star had presented a jeans specimen and photographs to show what the work looked like in support of its argument that the Elwood jeans did in fact meet the required level of originality. However, the Court of Appeal stated that, based on the specimen and photographs and the remaining evidence invoked by G-star, G-star had not proven that the submitted specimen and photographs (which allegedly showed the specimen) actually constituted or showed what the jeans looked like, including the invoked five design elements. 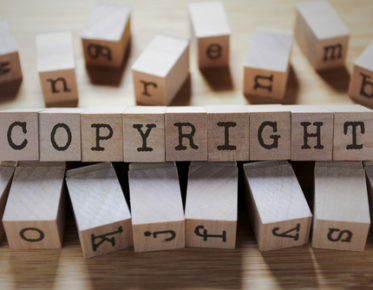 The Court of Appeal ultimately came to the conclusion that an assessment of the facts and evidence presented led to the conclusion that the work, in the manner alleged by G-star, did not meet the required level of originality and thus did not have copyright protection. G-star’s action was consequently dismissed and the judgment of the District Court upheld. Also this year, it is clear that the burden of proof is the most important aspect of winning IP disputes. The Supreme Court has clarified what needs to be proven in trademark infringement cases and at the same time set the threshold for “use in the course of trade” of a trademark at a lower level than previously. However, if no damage can be shown, no infringement has been committed. As regards patent infringement, the Svea Court of Appeal made an important statement that the fact that the patent has been granted strongly indicates that the patent is in fact also valid. This last statement also sets the burden of proof for patent infringement, in this respect, at a relatively low level for obtaining interim injunctions by confirming a presumption of validity. The judgment regarding copyright has the effect that a party claiming copyright infringement, who bears the burden of proving the alleged infringement, is obliged to present such specific facts that the court is able to make an overall assessment of whether the claimed work meets the requirement for copyright protection. It is clearly not sufficient to simply refer to examples of different reproductions of an invoked copyright protected work. Instead, the original work must be clearly identified and shown by sufficient evidence.